Home>Entertainment> Nick Young Feels A Type Of Way About 6ix9ine, R. Kelly & "Snitch Culture"
The issue of snitching is a touchy one for Swappy P. The pending NBA free-agent jumped on Twitter to speak on it once again, this time with respect to all the chatter concerning Tekashi 6ix9ine, Michael Jackson, and R. Kelly. He didn't mince his words in saying, "Ppl mad at 69 for snitching but watch Surviving R Kelly & neverland." Nick Young's Tweet, while lacking in clarity, doesn't suffer because of it. "Loyalty" as a societal value or concept, has readily taken a hit in the past few decades, for reasons that are adjudged too complicated to name outright. 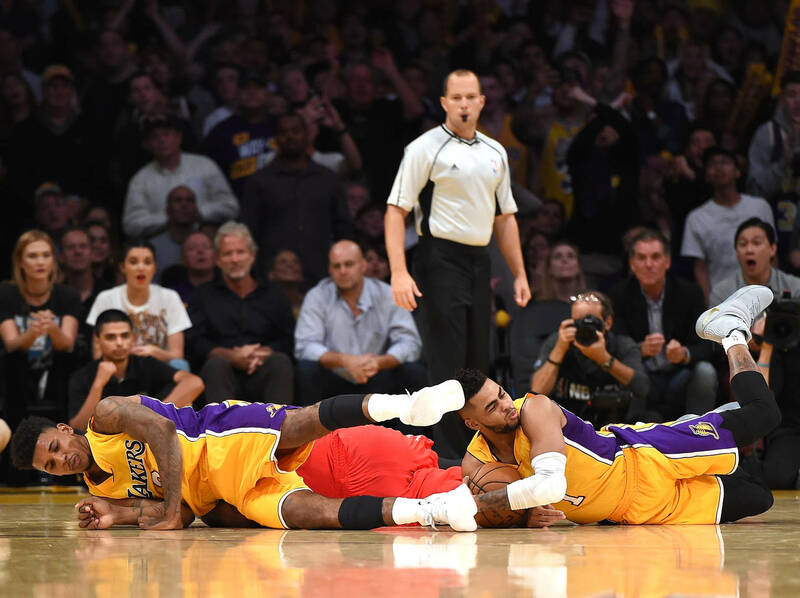 Let's not forget the saga Nick Young was embroiled in when the former Lakers' guard was quote-unquote "snitched on" by his then-teammate D'Angelo Russell. As a consequence, the Lakers' become even more consumed with their obvious struggles, as D'Angelo unfairly became the team's scapegoat 'til the day he was shipped out of Tinsel Town. For what it's worth, Nick Young does have a point in commenting on the cultural hypocrisy does he not? Russell's snitching exposed his infelicities towards then-girlfriend Iggy Azalea, thereby putting an end to their one-year engagement, altering the course of Nick Young's romantic life forevermore. Hit us with your thoughts; do you agree with Nick Young on the basis of snitching in contemporary culture? ENTERTAINMENT Nick Young Feels A Type Of Way About 6ix9ine, R. Kelly & "Snitch Culture"